Students participate in an activity with Engineers Without Borders, learning more about water supply and natural disasters. 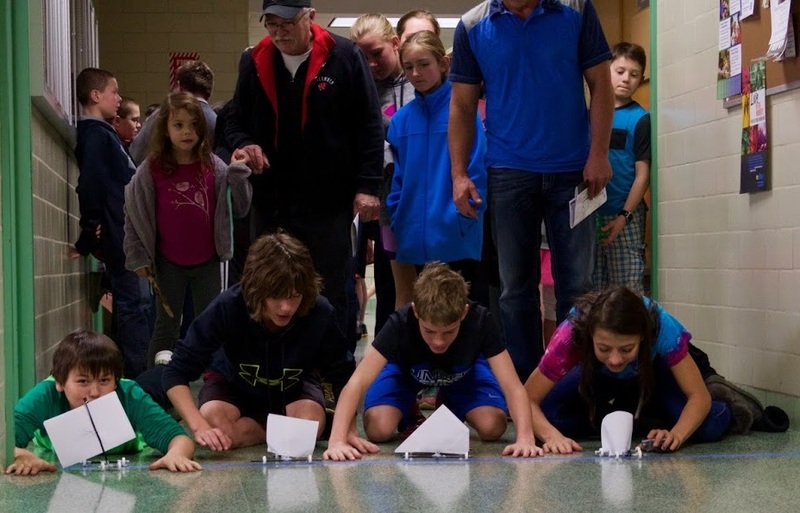 Students designed aerodynamic cars to race with common house hold items. 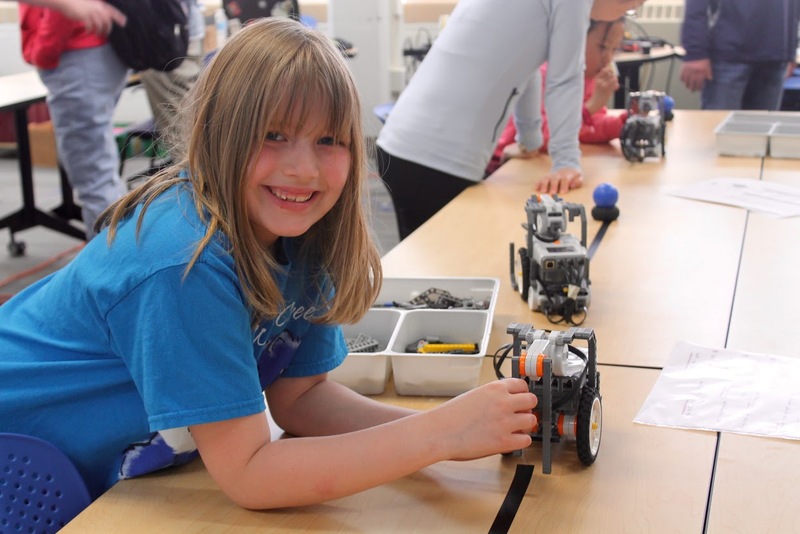 BadgerBOTs Robotics brings Mindstorm kits and teach students about robots! Welcome to the activities page for Engineering EXPO 2019! Here you will find all the latest information about the exciting, hands-on, games, activities, and competitions that will be hosted at Engineering EXPO 2019. The purpose of these activities is to allow students from all grades to get a taste of what scientists and engineers do on a daily basis. Please bring in your recycled water bottles to reuse for the bottle rocket competition! EXPO Activities for 2019 are in development! Check out some of our previous competitions for EXPO 2018! 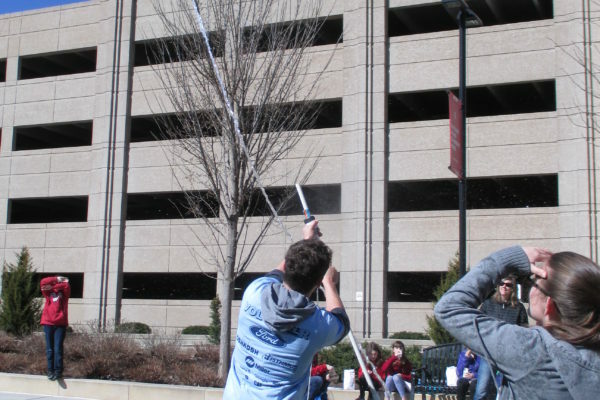 Test your aerospace skills in this bottle rocket launch! Contestants will work to create the perfect rocket out of an ordinary plastic water and compete to see whose rocket can fly the farthest. Students will discuss and attempt to discover what will make their rockets fly further, faster. If you’ve ever played with slime, you’ll most likely be surprised to know how easy it is to make on your own. Students will get to mix up their own batch and even take it home with them. Test your civil engineering skills by constructing a truss system that will stand up to heavy loads. However, your only supplies are a limited number of toothpicks and gumdrops. What shapes and structures yield the highest strength using the least amount of material? Competitors will try to figure this out in an attempt to make their structure hold the most weight. Designing safety features and accessories for transportation is an important job for an engineer. Learn how a helmet really protects a person’s head in a collision and then see how the helmet you built holds up in a crash simulation. What kid doesn’t want to launch something across the room? In this challenge, students will test their innovation skills by taking the every-day objects provided and transforming them into a functioning catapult. The catapults will then be tested to see whose can launch an item the farthest. Engineers work with some form of energy transformation in almost everything they do. In this competition, students will learn about how elastic energy turns to kinetic energy as they compete to either slingshot the cars or helicopters they build as far or high as possible. Step into the shoes of a biomedical engineer in this challenge in which competitors attempt to devise a way to clear a clogged PVC pipe “artery” using only the supplies given to them. Students must work together and communicate ideas well to devise the best possible methods. If you have any comments or suggestions, feel free to email us at competitions@engineeringexpo.wisc.edu. Q: How much experience do students need to participate? A: We do not expect students to have any background knowledge in the activities we provide. We want this to be a learning experience for all students. Q: Are there any costs associated with these activities? A: No, all materials will be provided by Engineering EXPO. 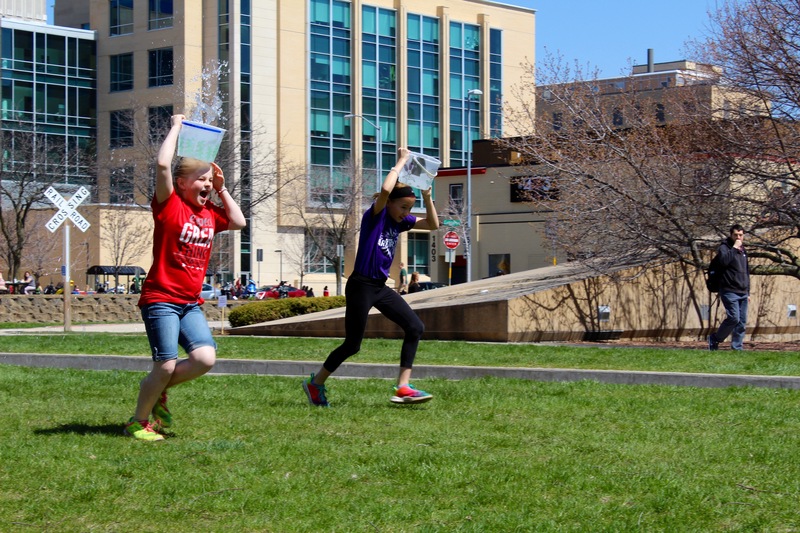 Q: Do students have to register for activities before EXPO? A: Currently, our activities are designed with the intent that students will be able to show up and participate, however, for activities that require registration all students will be notified before EXPO.